Adjustable steering column, Air conditioning, Alloys, Anti lock braking system, Central locking, Computer, Drivers airbag, Electric mirrors, Front Electric windows, Heated door mirrors, Immobiliser, Passenger airbag, Power assisted steering, Radio/CD, Remote Central Locking, Side airbag,FIAT PUNTO EASY 1.4 3DOOR HATCHBACK, White with Black Trim, Power Steering, Remote Central Locking, Alloys, Radio CD and Only 40,000 miles. Excellent Value with Economy. This advert is for a Fiat Punto, click Fiat Punto in Glasgow to see more cars like this in the local area. Want to search further afield? 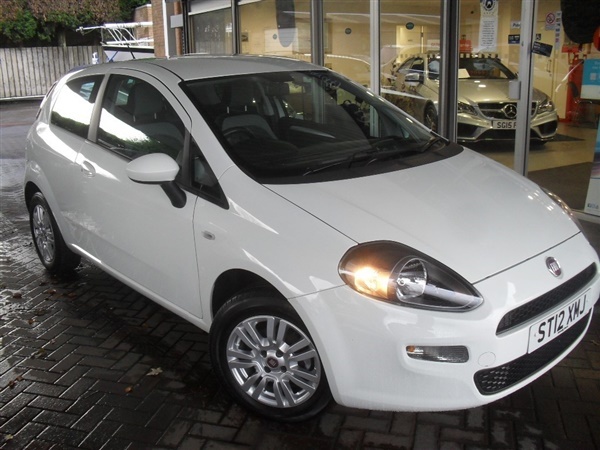 Click Fiat Punto in Dunbartonshire to search for similar cars in the wider Dunbartonshire area.